It’s Ash Wednesday, won’t you be my valentine? You can’t spell Valentine’s without LENT! Oh! So many bad Pastor jokes will be made today. (Show up tonight for worship and you may hear a few).The last time these two observances coincided on the same day was 1945. It’s been a while. Today, we may be torn between these two seemingly opposed traditions. One celebrates love, the other a reminder of mortality. But while you may, or may not, be a Valentine’s Day type of person, I do hope that as we begin the journey of Lent, you might take some time to consider how you might approach this season. In the early days of the church, Lent developed as a season of teaching and instruction leading up to the Easter celebration. At Easter Vigil, the Saturday of Easter weekend, new members were welcomed into the church after an intense season of preparation which included time in prayer, fasting, repentance, and other spiritual endeavors. Out of this tradition the season of Lent took shape – a 40 day period of self-examination, introspection, and heightened awareness of our own need for God’s salvation. It can also be viewed as a season of learning, study, and preparation for all that we observe during Holy Week. Historically, Christians have chosen to adopt spiritual practices meant to remind them of the season, such as fasting, prayer, or study of God’s word. Today, some people choose to give up other things such as, perhaps, social media, sweets, or some other unhealthy habit. Another approach, embraced by some, is to view Lent as an opportunity not to give up, but instead to do more as an expression of Christian faith, such as serving at a food bank, collecting items for those in need, or finding ways to bless their neighborhood. You may choose to adopt one of these practices this season, to give up, or commit more. Whatever your approach though, it would do us well to see Lent as more than just a hodgepodge of ritual and tradition. It remains one of the most powerful seasons of the church year for understanding God’s plan of salvation. During Lent we repent of sin, regularly recognizing our need for a savior. Then, as we enter into Holy Week, we see all that Jesus has done, as teacher, Lord, and sacrificial lamb willing to give his own life for his people. Finally, on the glorious morning of Easter, we celebrate the victory over death that is the resurrection, Jesus’ greatest work. A Funeral Service for Miriam Dydak will be held at Calvary at 11:00am on Monday, February 19th. There will be a viewing for the hour preceding the service. A repast will follow the service. At last Sunday’s Special Voters Assembly Calvary Members voted to approve a goal of $750,000 for the Capital Campaign. This goal is lofty, but by God’s grace, achievable. It will take all of us to get there! The readings are: Genesis 9:8-17; 1 Peter 3:18-22; Mark 1:9-15. Join us on February 14 as we observe Ash Wednesday which marks the beginning of the season of a Lent. All are welcome for a community meal at 6:30pm. 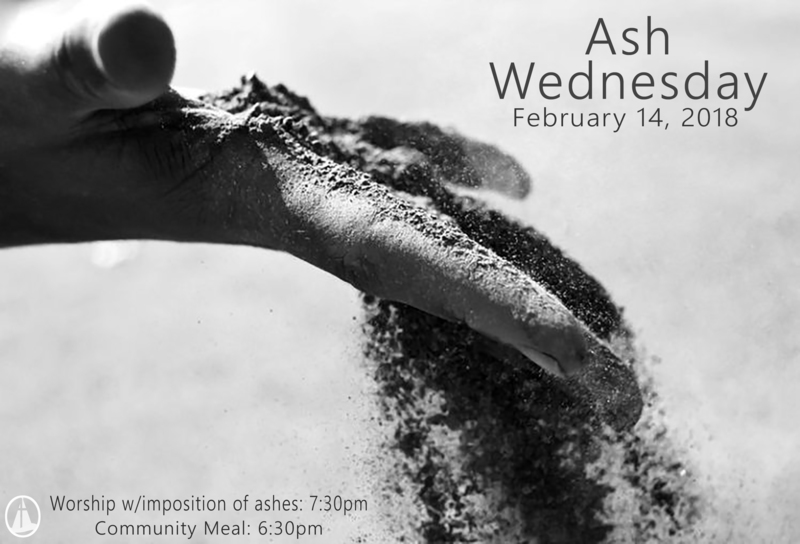 Worship will begin at 7:30pm and will include the traditional imposition of ashes as well as Holy Communion. I am currently re-reading one of the most meaningful books I came across in seminary, Gene Edward Vieth’s “The Spirituality of the Cross.” In this book, Vieth, a lay-person who has explored many different religions before becoming a Lutheran Christian, presents a clear overview of Lutheran Theology. His chapter on Justification is one of the best. Whether in the world’s organized religions or in the individual strivings of human beings to find meaning in their lives, certain patterns keep emerging. Adolf Koeberle notes three kinds of spiritual aspiration: moralism, in which the will seeks to achieve perfection of conduct; speculation, in which the mind seeks to achieve perfection of understanding; and mysticism, in which the soul seeks to achieve perfection by becoming one with God. Though all of these ways contain elements of wisdom, Lutheran spirituality is totally different from them all. Instead of insisting that human beings attain perfection, Lutheran spirituality begins by facing up to imperfection. We cannot perfect our conduct, try as we might. We cannot understand God through our own intellects. We cannot become one with God. Instead of human beings having to do these things, Lutheran spirituality teaches that God does them for us – He becomes one with us in Jesus Christ; He reveals Himself to our feeble understandings by his Word; He forgives our conduct and, in Christ, lives the perfect life for us. What Vieth is arguing is that Christianity is truly different than any other approach to human life. Rather than us having to ascend to a higher power or greater plane of existence, through hard work or good behavior, God has instead come down to us. God has done the work for us in Christ. God has makes possible the path to salvation. This sort of grace, while free, shouldn’t be seen as letting us off the hook. Having experienced life changing-grace, we are called to live changed lives. But the joy and hope of salvation, of life lived in God’s presence, of a Christ-like view of our world, have already been granted free-of-charge. A Special Voters Assembly been scheduled for this Sunday, February 11th immediately following worship. At this brief meeting, leadership will be asking the congregation to approve a dollar amount goal for the Capital Campaign. Our Campaign Consultant, Mr. John Hewett will be on hand to help answer questions about setting the goal, as will our Campaign leaders. With your help, and through much prayer, we ask God to bless our work together in raising money for the purpose of including our facility, making it safer, more attractive and efficient, and accessible for all. In an effort to build excitement and participation in our Sunday morning Bible Study class on Paul’s letter to the Philippians, we have decided to call this book just “The Memo.” All are welcome and encouraged to join the 9am class. Child care is available.